Versatile couscous is combined with beef, lamb, poultry or seafood in many authentic Moroccan dishes, including Pastilla, a pigeon meat pie. Another Moroccan favorite, Tajine, which is a slow-simmered stew made of lamb, fruits, and plethora of Moroccan spices, delights culinary visitors. 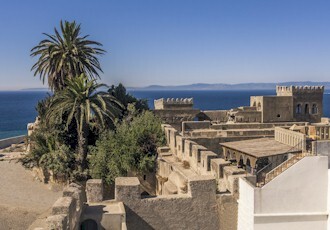 Morocco offers visitors a taste of authentic cuisine, a truly unique blend of flavors, and dishes that will impress even the most seasoned foodie. Fill in the form below and we'll send you an email with all our current deals for Morocco. One of Morocco's most picturesque traditions; the wax lantern procession or "mawkib esh shomouaa". held Eve of Mouloud in March-April. Taste unique thyme & wild lavender honey or a mixture of almonds and argan oil, called amlou, a succulent traditional dish. Dates approximate. Delicious food stalls, Berber dancers and singers, and even a parade of floats. Dates approx - coincide with harvest in early May. Rose water is offered to guests before meals as a symbol of hospitality; buy rose products or enormous bunches of roses to dry. Dates approximate. 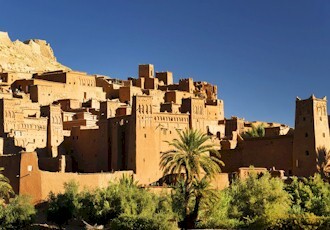 The desert is filled with nomadic tents selling traditional Moroccan products & traditional Moroccan food. Late May-early June. Dates approximate. Attend morning Eid prayers at a mosque and then return home to celebrate and feast with family and friends. Varieties of cherries grown in the Sefrou area are featured, includes dancing, singing, parades and the election of the Cherry Queen. Dates approx. A day of pride in the nation’s independence, culture, and monarchy. A moussem for harvesting apples and pears. Dates approximate. Following a pilgrimage to Mecca, celebrate with family & friends with many traditional foods. Celebrated at a shrine for only Muslims; however, the village hosts a fantastic carnival & tourists are welcome. 4 days in mid-August. Dates approx. A mix of pastries, nut fruits and apricots are also exchanged.